San Clemente, CA—August 18, 2010—iPort®, the inventor of the world’s first in-wall system for the Apple iPod®, is once again poised to advance the integration of Apple products into the home. Since its inception, the iPort brand has helped consumers experience Apple’s products in new and exciting ways allowing them to listen to, and experience their music and video libraries throughout their home. As Apple’s products have evolved from entertainment sources to intuitive touchscreens with the iPhone® and iPad™, iPort has continued to innovate new ways to incorporate them into consumers’ lifestyles. Continuing the tradition, iPort has introduced two new products in its Control Mount Series for the Apple iPad and iPod touch®. 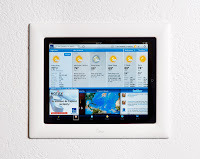 The CM2000 Control Mount for iPad and the iPort CM100 Control Mount for iPod touch both integrate the handheld Apple touchscreen products in an attractive in-wall frame, transforming them into in-wall touchscreens for display of weather, news, stocks and many other preferred Apps. iPort, inventor of the first in-wall music system for the iPod, makes it possible to easily share music, video, and photos through any home stereo or entertainment system. Using innovative technology and a unique design, iPort is committed to producing products that are stylish, inventive, and as simple to use as the iPod. iPort is the innovation of Scott Struthers, co-founder of Sonance and developer of the world’s first high-fidelity in-wall loudspeaker. He is a founding member of CEDIA and a recipient of a CEDIA Lifetime Achievement Award. The iPort CM2000 and CM100 have been licensed by Apple, Inc., as “Made for iPad” and “Made for iPod” respectively. The CM100 also transforms the iPod touch into an in-wall Internet radio source, and easily connects to any stereo or audio/video receiver. Users can download their choice of any Internet radio apps available in the App Store and play the audio back through any connected stereo system. “From the very beginning of iPort, we have been creating innovative in-home solutions for the integration of Apple products. As Apple’s products have evolved from media players to intuitive touchscreens, we remain committed to this, and to making our products useful in a way that is aesthetically compelling and easy to use,” said Ari Supran, CEO of iPort’s parent company Dana Innovations. 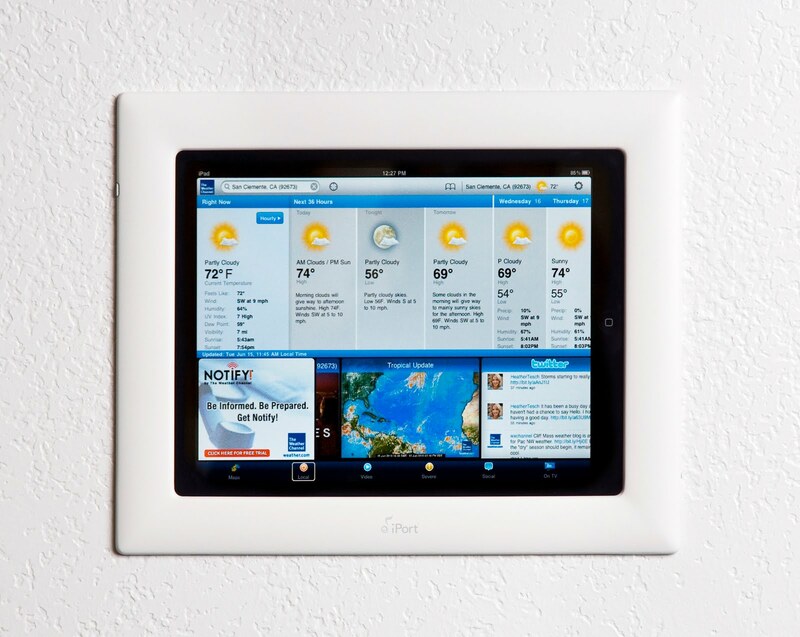 Integrating an iPad or an iPod touch into a home automation system using the respective Control Mounts offers homeowners an elegant way to control their home entertainment lighting, climate, and more via control apps available from most home automation brands which link to the system over Wi-Fi. The CM2000 and CM100 may be installed in either a vertical or horizontal orientation, depending on the functionality and design of the room. When installed into the iPort, the iPad and iPod touch remain constantly charged.